In a historic move, AG Mobile, MediaTek and the Nelson Mandela Long Walk to Freedom Education Project have partnered to launch the #Freedom2Learn campaign which will see a range of affordable ‘Freedom’ smart devices hit South Africa markets, promoting Madiba’s legacy and the spread of education. As a proudly South African brand, AG was chosen by the Long Walk to Freedom Education Project to be its exclusive partner to roll out its mobile strategy, to support their vision of “Easy Access to Education via Technology for all”. To drive the #Freedom2Learn campaign throughout South Africa and across the world, AG Mobile and the Long Walk to Freedom Education Project have partnered with mobile agency Silverstone Solutions to create a #Freedom2Learn mobile app. The app will contain information on all of the AG Mobile products, exclusive Mandela content and a chance to take part in 67 exciting #Freedom2Learn challenges with prizes available. The app also provides access to participate in a massive drive to donate 1 million AG Freedom smart devices to children in Africa. According to AG Mobile’s CEO, Anthony Goodman, not only does AG Mobile want to enable access to the internet via their smartphones and tablets, but they will be encouraging learning and education, the cornerstone of the Nelson Mandela Long Walk to Freedom Education Project. #Freedom2Learn will also promote access to education through the build and placement of Library containers in communities throughout South Africa and eventually into Africa. These Library containers will be fully equipped with learning materials, WI-FI connectivity and study facilities, further promoting access to education and learning among disadvantaged youths. “A percentage of profits made on the sale of all AG Mobile Freedom devices will go to the Long Walk to Freedom Library Project, thus giving longevity to Nelson Mandela’s legacy on education”, says Goodman. Robert Coutts, CEO and spokesperson for the Long Walk to Freedom Education Project, says “Literacy is the key to all education. We are looking towards the future where technology will play an increasingly important part of our literacy campaign, not to mention the fact that access to technology often accelerates the learning process. “We may not be able to help every child but we have a responsibility to give each child the tools to help themselves. 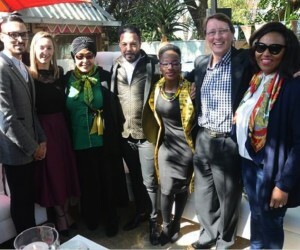 The Freedom phones and tablets will be loaded with learning and education apps to help integrate children, adults and teachers into our digital world, a necessary component of an economically active citizen,” Coutts said. The mobile devices range from a feature phone, very affordable 4-inch smartphones, a 4.5-inch LTE device and a more highly specified 5-inch offering as well as tablets. All devices will feature exclusive educational content and approved never seen before Nelson Mandela content in the form of pictures, wallpapers, quotes and more. The Khan Academy App and Madiba’s Journey App are two of the apps to be made available on the AG Freedom phones and tablets. The Khan Academy is an educational tool that enables the user to download over 10,000 educational videos and content which can be used for learning even when offline. Users will also be able to explore Nelson Mandela’s inspiring journey through the Madiba’s Journey App. By finding key locations on the phone’s mapping system, users can follow directions and immerse themselves in narratives from poignant moments throughout South African history. Users will be able to create a customised itinerary before embarking on their journey into Nelson Mandela’s inspiring life. There are also exciting galleries displaying sneak peeks of what sites and stories await and users will be able to ‘check in’ at each site through the App and their experiences. 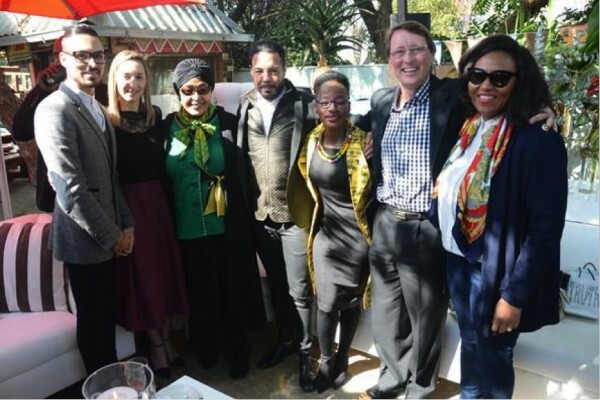 The partners involved in this initiative believe that providing a mobile-first approach to education will pave the way to promoting and spreading education among learners in South Africa, and ultimately success later on in life. The first Freedom Access (4 inch) smartphones will be available in Truworths stores nationwide on the MTN network. The Freedom mobile devices and tablets can also be pre-ordered at www.freedom2learn.org. In addition to these 2 channels, we expect multiple new retailers to stock the Freedom range in the near future.